You're a dancer. But you know you need more than technique to become world class...or even get out of the corps. Do you have the mindset and habits that can help you achieve your dancing goals and dreams? Or do you skimp on sleep, not eat a healthy diet, smoke, drink alcohol, or say you can't afford the time or money for body work? Do you tell yourself you aren't good enough to become a principle dancer, you have to work too hard to get those coveted roles, or the politics of the dance world make it impossible for you to succeed? The majority of dancers never make it into the spotlight. Why? They focus only on technique, the steps, or doing it "right." They allow their current thoughts, beliefs, habits, and behaviors to keep them stuck. They focus on excuses rather than on results. The dancers who spend most of their time in the spotlight don't just rehearse and perform. In every moment, they strive to become better people and better dancers--to level up and step into their best selves. They focus on achieving results and living into a positive vision of what they can become. That personal development work and vision of a positive future affects the quality of their dance work—and their ability to succeed. Stop rehearsing for your life as a world-class dancer. Take the stage. The most productive, skilled, and successful dancers possess habits and mindsets that support their goals and dreams. They know personal development is essential if they want to achieve their purpose and potential. These artists know that doing the internal work provides the key to success—personally and professionally. They know they need to get out of their own way. That's why they invest in personal growth. They understand that this is the key to success—as a dancer and in every area of life. But you haven't made that investment in yourself or in your dance dreams . . . yet. That's why you struggle. Because you haven't changed any of your habits or mindsets, you aren't becoming the dancer you know you can be and that you want to become. You don't have the strategies or tools to help you achieve your dance goals. As a result, you’re distracted, overwhelmed, uncertain about your next step, filled with self-doubt, afraid to change, tired, too busy, unproductive, stuck, and feel like you wander through class and rehearsal (and even performances). You do what you must to retain your spot in the company (or dance school), but you know you need to do more if you want to progress. Despite your desire to succeed at dance, you don't change. You need a fire under your feet...a burning desire to do more...be more...to become the best dancer possible. Or maybe you have had that fire—passion and commitment to your art form, but it's smoldering. And you don't know how to get the flame to burn hotter and brighter. When you live your life and pursue your work feeling stuck and dispassionate, it doesn’t matter if you have a technique, stage presence, or talent. You can't become a world-class dancer because you haven't mastered your psychology, physiology, productivity, persuasive skills, purpose, and presence. But you don't have to continue living and dancing this way. You can set yourself apart from the wannabe and average dancers. You can become a high-performance dancer, deliver excellent performances consistently, and become not only a star but someone other dancers see as a role model...a role model of success. You can get unstuck and move forward faster than you thought possible...in dance and in life. How? By taking concrete steps to become your best self—the person and dancer you were meant to be...and that you know you can be. Yes, hone your technique. Develop your stage presence, perform the choreography (or create it), and put yourself...all of you...into the pieces you dance. But, more important, develop clarity, energy, courage, productivity, and influence to help you become a world-class dancer. Possession of these traits is the hallmark characteristics of successful people in every area of life and work. They have mastered their psychology, physiology, persuasion, productivity, and purpose. When you develop these characteristics, too, you will realize your dream of becoming a world-class dancer. It's time to achieve your dance goals and realize your professional dreams. Step up and into your best dancing self. I'm not a dancer. I'm a Certified High Performance Coach. But I know a thing or two about dance, being a dancer, and succeeding in the world of dance. I raised a professional dancer. My 23-year-old son is a second soloist in one of the best European ballet companies. He began dancing when he was only three years old. I've watched him do tap, ballet, jazz, hip hop, break dancing, lyrical, modern, and contemporary work. I've seen him dance on a recreation department stage in a small town in Illinois, a small theater stage in San Francisco, and a large opera house stage in Paris. I've seen him do competitions alone and with a team and perform with a company and solo in principal roles in front of thousands of people. I learned along with him and for many years served as his manager. Dancing is a tough road to travel as a young boy or man. You get teased, ostricized, and sterotyped. You get kicked off sports teams and out of school activities because you have other commitments...to be at dance class, rehearsals, and performances. You have to give up things you love, like snowboarding and summer camp. You are too busy to socialize, and so your friends drop away. Despite your commitment to dance...and even your success, you end up feeling different, not good enough, and unliked. Except in dance class or on stage. Unless the lack of other male dancers makes you feel alone. Once you enter the work force, which for many dancers like my son happens at age 18 (if not before), you are faced with the fact that you must handle real life. No more school. You've got a job, and it's dance. And that means you have to show up at work on time, get along with your artistic director, ballet masters, and company members. You also have to pay bills, handle the responsibilities of your apartment, cook meals, wash your clothes, and generally be a grown up. I may not be a dancer...or a man...but I get it. I've mentored both male dancers and their parent through my blog, My Son Can Dance, and the associate Facebook pages (with over 650 members). I've watched my son, his friends, and his colleagues strive to succeed in this highly competitive art form. Here's the thing: What I know will make them...and you...successful is no different than what makes a writer, a CEO, a surgeon, a singer, or a parent successful. It's true, you need technique, stage presence, and the ability to move to succeed as a dancer. But that's not enough . . . not if you want to be more than average as a dancer or move past whatever currently stops you from getting the roles you desire and the position in a company you want to deserve. If you want to achieve your potential and purpose as a dancer . . . and as a person, you need high-performance mindsets, habits, and strategies. I'm one of only 300 Certified High Performance Coaches working around the world, and I'm the only one coaching male dancers specifically. Of course, I also love to coach female dancers, artistic directors, and anyone working in the field of dance. I also coach writers, because I've worked it the publishing field for many years. 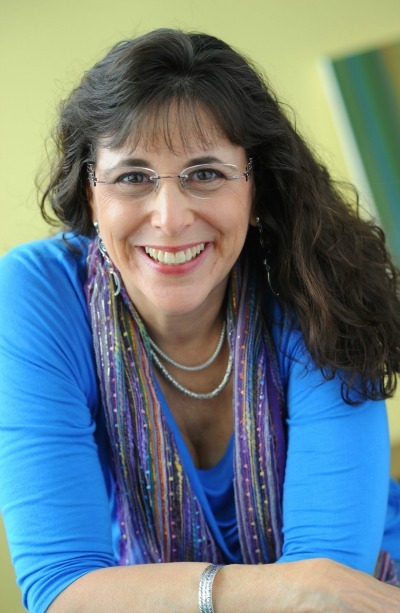 I'm also an Author Coach, Book Coach, Blog Coach, and a published author. I've grown to love dance. And I have grown to hate seeing dancers—even my son—struggle. I know how to help you and other dancers like you. And I want to help. I want to teach you how to become a high-performance dancer, someone who has mastered his physiology—your health, fitness, and energy; psychology—your mindset, thoughts, and beliefs; productivity—your focus and presence at work and in life; persuasion—your ability to get yourself to take action and to positively influence others; purpose—your capacity to fulfill your Big Why for dancing; and presence—your ability to be in the moment with everything you do from the moment you wake up to the moment you go on stage to the moment you go to sleep. When you master these six pillars of high performance, you will reach heightened and sustained levels of clarity, energy, courage, productivity, and influence. You'll also exceed your standard norms consistently over the long term. And that will help you live a life filled with enthusiasm, joy, and confidence when you are on stage and off. I created a high-performance coaching group just for dancers to help you live into your best self as a dancer. If that's what you'd like to do, join me in the High-Performance Dancer Group Coaching Program. This program is the best of what I have to offer. And its the foundation you need to succeed—at dance and at life. Registration closes March 31, 2017. Act now to reserve your spot! April 5, 12, 19, 26; May 3, 10, 24, 31 (no class May 17); June 7, 14, 28 (no class June 21); July 5 (final class 2 hours long). All sessions are delivered using a teleconference line. Online access to and International numbers for calls are available for those with limited calling plans or who live outside the United States. Recordings and handouts are delivered via DropBox, a free service. All the benefits of Certified High Performance Coaching plus the benefits of working with a dance mom. **No refunds for other reasons. You have lifetime access to the recordings and handouts and to the High-Performance Writer home-study course as well as to additional material added or updates made to the coaching program. Set dance goals and achieve them. Develop daily routines that help you dance consistently, generate more energy and focus, and move courageously toward you dance dreams. Get inspired to take massive action toward improving your dance skill base and leveling up in all areas of your life. Move through limiting beliefs and negative thoughts that prevent you from dancing or performaning to the best of your ability. Increase your energy so you have the stamina to dance for lengthy periods and manage strenuous dance programs. Develop sustainable habits, routines, and rituals that offer benefit to every area of your life. Become an influencer in your dance school or company and have a positive and meaningful impact on your fellow dancers and everyone you meet. Two EXTRA High-Performance session to get you started and complete the program! Maybe you feel like $497 is too much money to invest in yourself. (After all, this is a personal-development program rather than a summer dance intensive, body work, or a private technique lesson.) But how much value do you place on becoming a dancer...and not just any dancer but a world-class one? How important is it to you to share your gift with the world? And what will you (or others) lose if no one ever sees you dancing in the spotlight? What will you...and your audience..gain if they do? You can keep taking class and working on improving your technique. You can continue trying so-called solutions to lack of turnout, lousy lines, and performance anxiety. You can get up every morning feeling too tired, sore, distracted, unfocused, and fearful to dance at a higher level. Or you can decide to become a high-performance dancer. You can decide to invest in yourself and your future as a dancer. If we worked together one-on-one, your investment in Certified High Performance Coaching would be $4,000. 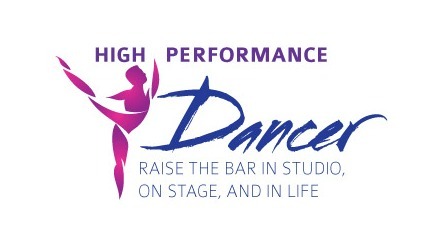 Through the High-Performance Dancer Group Coaching Program, you get all of the things mentioned above along with the added benefit of sharing and learning with others on a mutual high-performance dancer's journey - all for the investment of $497. How could you possibly resist? Yes! I Want to Become A High-Performance Dancer today Nina! Choose Your Payment Plan to Begin Registration.